The combined research output of the top ten Philippine higher education institutions (HEIs) at 11,528 will not even come close to the output of the National University of Singapore with 100,893. “That’s just one university in the city-state,” according to Dr. Tereso S. Tullao Jr.
Dr. Tereso S. Tullao Jr. explaining the role of education in the development process. A National Book winner and economics professor at the De La Salle University Manila, Tullao was speaking before stakeholders gathered at one of the parallel workshops on the second day of the Philippine Education Summit 2016. Tullao shocking the audience with data and reminding them not to be complacent. Tullao added that while he is happy to know that his alma mater, the University of the Philippines Diliman, leads the pack with 3,060 when it comes to the research productivity of HEIs in the country; and that DLSU Manila follows UP Diliman with 2,056, he is also confronted with the sad plight of Philippine HEIs in comparison to its neighbors. CHED executive director Atty. Julito D. Vitriolo (foreground, right) listens to Dr. Tullao. 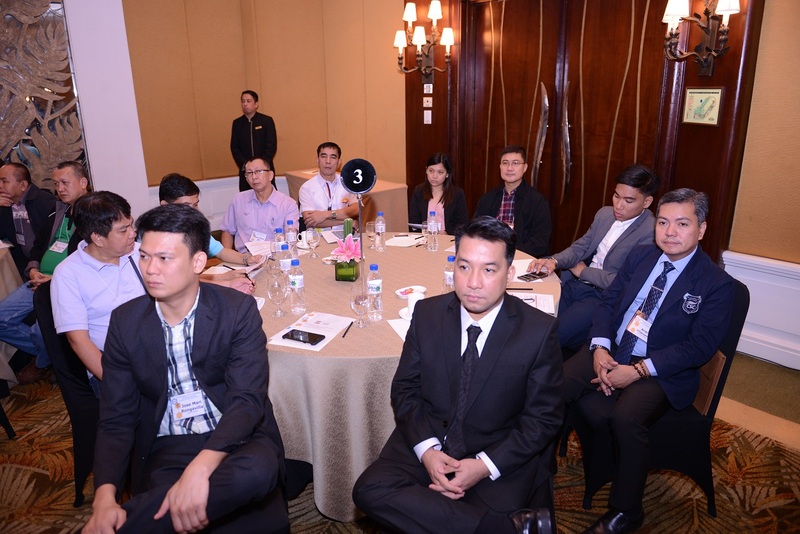 University heads, scientists, former and current higher education officers were some of the participants at Workshop 8: Higher Education as Accelarator of Innovation and Inclusive Economic Prosperity held at the Taft Ballroom 2 of Conrad Hotel, Mall of Asia Complex, Pasay City on November 4, 2016. Group 1: University of the East president Dr. Ester A. Garcia shares her thoughts. Along with 500 delegates, FILCOLS executive director AlvinJ. Buenaventura was one of the stakeholders invited to the two-day education summit. He is the only representative of the book industry in Workshop 8. The other HEIs with their corresponding research outputs are UP Los Baños with1,923, UP Manila with 1,837, Ateneo de Manila University with 839, University of Santo Tomas with 686, University of San Carlos with 378, Mindanao State University with 319, Mapua Institute of Technology with 215, and Visayas State University with 215. Group 2: Representatives from Australian Aid and university heads of research. Group 2: Main ideas were discussed, defended, and some were discarded. Citing Scopus as the largest and reliable source of data on the research output of universities around the world, Tullao prodded the audience to crack their heads and contribute to the Philippine Development Plan. The suggestions are not merely for the Duterte administration but should be for the long term, even for the next administrations. Group 3: (left) Former secretary of the Department of Science and Technology and current president of the National Academy of Science and Technology Dr. William G. Padolina led the group discussions. Group 3: Ideas were written on blue strips of paper and arranged on the floor. The Singaporean government’s support to their HEIs contribute greatly to their performance in terms of research output, recruitment of top faculty from around the world, scholarships for local and international students, and high-end equipment and facilities. Established in 2007, Nanyang Technological University is ranked 13th globally and produced 66,647 research output next to NUS. Singapore Management University, only a 16 year old-institution, produced 3,495 which is higher than UP Diliman’s output. In terms of budget, the University of the Philippines received PHP 11 B (USD 224 M) for 2016. While the budget for all Philippine state universities and colleges (SUCs) was PHP 47 B (USD 959 M), these pale in comparison with the budget for the National University of Singapore at PHP 42 B (USD 868 M) and the Nanyang Technological University at PHP 29 B (USD 610 M). Dr. Napoleon K. Juanillo Jr., in his description of the workshop as its moderator, highlighted the importance of higher education as one of the major drivers of economic competitiveness. He is the director for the Office of Planning, Research & Knowledge Management at the Commission on Higher Education (CHED). In her opening remarks, CHED chair Dr. Patricia B. Licuanan said that the commission views its role as setting the agenda, strategies, and facilities to strengthen the so-called “triple helix” of government, academe, and industry as growth accelerators. The Philippine Education Summit 2016 was jointly convened by the country’s top education agencies: Department of Education (DepEd) which handles basic education and alternative learning systems (ALS), CHED which handles HEIs including SUCs, and the Technical Education and Skills Development Authority (TESDA) which handles technical-vocational (tech-voc) education. Main support was provided by the Australian Aid Basic Education Sector Transformation (BEST). Text and photos by Alvin J. Buenaventura. This may be re-posted as long as the author is acknowledged. The Filipinas Copyright Licensing Society, Inc. (FILCOLS) and Ayala Foundation will celebrate Philippine Book Development Month 2016 with a simple event from 1 to 4 p.m. on Friday, 25 November at the Ground Floor Lobby, Ayala Museum, Makati City. “FILCOLS Distribution for Rightsholders and Partnership with Ayala Foundation” will signal the start of distribution of remuneration for authors, heirs of authors, and publishers. The bulk of the license fees collected by FILCOLS were from the Department of Education (DepEd) for the re-use of Filipino works in the learning resources for Grades 2, 3, 8, and 9. Recognizing the need to support Filipino authors and other copyright owners, Ayala Foundation, a revered name among corporate foundations, will sign a licensing agreement with FILCOLS for the secondary use of works through mass digital and photocopying inside the Filipinas Heritage Library and the Ayala Museum. A small license fee will be paid on a two-year period which will then be distributed to righstholders after deducting FILCOLS’s administration costs. Established in 1961 and renamed in 1990, Ayala Foundation is the social development arm of the Ayala Corporation. Committed to improve the lives of Filipinos, Ayala Foundation embarked on innovative programs for education, leadership, livelihood, arts, and culture. FILCOLS is the government accredited collective management organization (CMO) in the text and image sector. FILCOLS supports the publishing industry by licensing the secondary use of copyrighted works for mass uses inside institutions. Aside from the license fees collected from DepEd, FILCOLS will also distribute remuneration it received from its sister societies abroad. Australia’s Copyright Agency-Viscopy and the Copyright Licensing and Administration Society of Singapore (CLASS) remitted to FILCOLS, on various dates, remuneration for Filipino works used by their licensees. Under Australian and Singaporean copyright law, institutions must pay license fees for the re-use, through large-scale digital and photocopying, of books, journals, newspapers, and websites. Under these institutions are schools, universities, technical vocational (tech-voc) or polytechnic, businesses, government, and other organizations. FILCOLS was established in 2008 by the Intellectual Property Office of the Philippines, National Book Development Board, Book Development Association of the Philippines, and the Unyon ng mga Manunulat sa Pilipinas. Its founding chair was National Artist for Literature Virgilio S. Almario. FILCOLS is currently headed by its chair Dr. Jose Y. Dalisay, Jr. Other Trustees are Ricky Lee, Karina Bolasco, Beverly Siy, Dr. Rebecca Anonuevo, Dr. John Jack Wigley, Marne Kilates, and Jose Paolo Sibal. The Secretariat is led by executive director Alvin J. Buenaventura. Substandard car parts contribute to accidents and loss of lives in the United Kingdom as David Lowe revealed that 58% of materials bought online are fake. The counterfeit car parts cost the UK automotive industry GBP 28 billion (PHP 1.6 trillion). The cost does not include the loss of lives and damages as a result of use of defective car parts. David Lowe is the head of the Intellectual Property (IP) Enforcement Capacity and Delivery of the UK Intellectual Property Office. He is one of the resource persons invited by the Intellectual Property Office of the Philippines (IPOPHL) to grace its IPR Week celebrations which started with the 6th Philippine Anti-Counterfeiting and Piracy Summit at the EDSA Shangri-La Hotel, Mandaluyong City on October 24, 2016. Lowe added that the UK publishing industry also suffered as more than 100 million magazines were illegally downloaded in 2014. With the summit’s theme “Advocating IPR Protection and Enforcement in Governance,” IPOPHL Director General Josephine R. Santiago reported on the gains, challenges, and plans for IPR in the Philippines. Director General Santiago highlighted the 4% growth in the filing of IP cases from 526 (2013) to 643 (2015). She also noted the 2% growth in resolved cases from 510 (2013) to 551 (2015). The detailed IPR Action Plan 2017-2022 was presented by IPOPHL Deputy Director General Allan B. Gepty. He pointed on the need to intensify IP education in the country. Gepty explained that aside from the IPOPHL-backed Young IP Advocates (YIPA), the agency will spearhead the expansion of IP advocates in schools and universities. These students will be included in the regular trainings and seminars on IP. He mentioned that a policy must be made to require schools and universities to include IPR education and awareness in their curricula. The policy must be crafted by the Department of Education (DepEd) which oversees basic education and the Commission on Higher Education (CHED) for colleges and universities. Director Carmen G. Peralta of IPOPHL’s Documentation, Information and Technology Transfer Bureau presented the highlights of the 4th IP Youth Camp held in Davao City. To date, YIPA has inducted 85 secondary school students in its membership. The total network of schools nationwide is 27. Delegates from various public and private sector organizations. (l-r) two officials from the Bureau of Customs, Civil Service Commission director Ariel Villanueva and companion, Alvin J. Buenaventura, Ranielle S. Espiridion, and four officials from the Quezon City Hall. (Photo by IPOPHL staff). In support of the IPOPHL’s IPR Week celebrations, the Filipinas Copyright Licensing Society, Inc. (FILCOLS) Executive Director AlvinJ. Buenaventura and Staff Ranielle S. Espiridion participated as delegates to the summit. FILCOLS is the second collective management organization (CMO) accredited by the IPOPHL in 2014. The accreditation of CMOs was included in the amendments (RA 10372) to the IP Code which was enacted by then President Benigno S. Aquino in 2013. Text by Alvin J. Buenaventura. Photos by Alvin J. Buenaventura and IPOPHL staff Richmond A. De Leon. This may be re-posted as long as the authors are acknowledged. “Should K-12 be supported or opposed?” “How can the government provide learning resources when there is a shortage of classrooms, a number of which are damaged during typhoons?” “How can the education department raise teaching standards when teachers get measly salaries and many opt to work abroad instead?” “What should universities do to join the ranks of top-ranking higher educational institutions?” These are some of the issues that need to be raised in the Philippine Education Summit 2016 which started today November 3 at the SMX, Mall of Asia, Pasay City. It took a long time for the Philippines to adjust its basic education to the globally practiced K-12. The Philippines clung to K-10 until the passing of the 2013 Enhanced Basic Education Act (RA 10533). The new law however did not end the debate. Anti-K-12 proponents presented various petitions to the Supreme Court. Some of the reasons presented were: K-12 is anti-poor, unconstitutional, anti-labor,unpatriotic, and anti-Filipino. The petitioners were not deterred despite the fact that the Philippines is the only country in Asia to have K-10 and until recently was part of the old company with African countries Angola and Djibouti. In March 2016, the Supreme Court rejected various petitions against K-12. Aside from the controversial K-12, the Philippine Education Summit 2016 will also look at the various issues facing technical-vocational (tech-voc) and higher education. The main problem of the education agencies over the years has been the lack of money. In his opening remarks, Budget Secretary Benjamin Diokno presented a different picture and said “Our problem is we may not be able to spend all the money before the term of President Duterte ends.” He added that the Philippine budget for 2017 is PHP 3.35 trillion (USD 67.7 billion). This means the budget will steadily rise for the next six years. He assured the participants that the current administration fully supports education. FILCOLS executive director Alvin J. Buenaventura with DepEd's Cynthia Villafranca. The two-day event brought under one roof 500 selected education stakeholders from all over the Philippines. 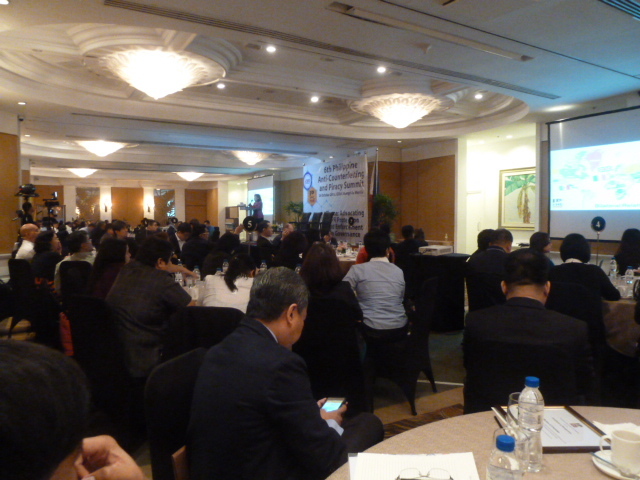 FILCOLS executive director Alvin J. Buenaventura was one of the stakeholders invited to the education summit. FILCOLS is the government-accredited collective management organization (CMO) for printed works. The Philippine Education Summit 2016 was jointly convened by the country’s top education agencies: Department of Education (DepEd) which handles basic education and alternative learning systems (ALS), CHED which handles HEIs including SUCs, and the Technical Education and Skills Development Authority (TESDA) which handles technical-vocational (tech-voc) education. Support was provided by the Australian Aid – Basic Education Sector Transformation (BEST). Text by Alvin J. Buenaventura. Photos by AJB and Joergette Razielle M. Regadio. Text and photos may be re-posted as long as the authors are acknowledged.